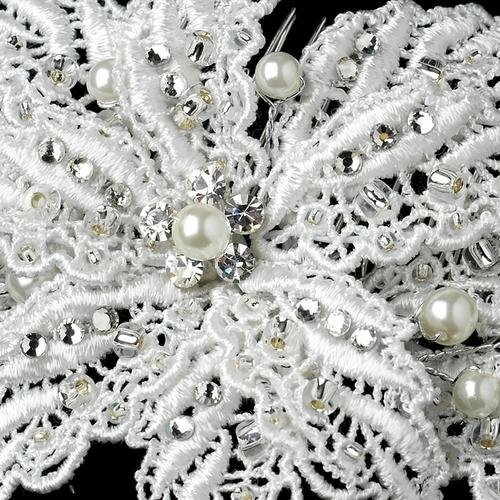 A charming bridal hair accessory features a diamond white floral fabric accent with rhinestones and faux pearls. This radiant hair comb complement a classic updo or with your hair down. 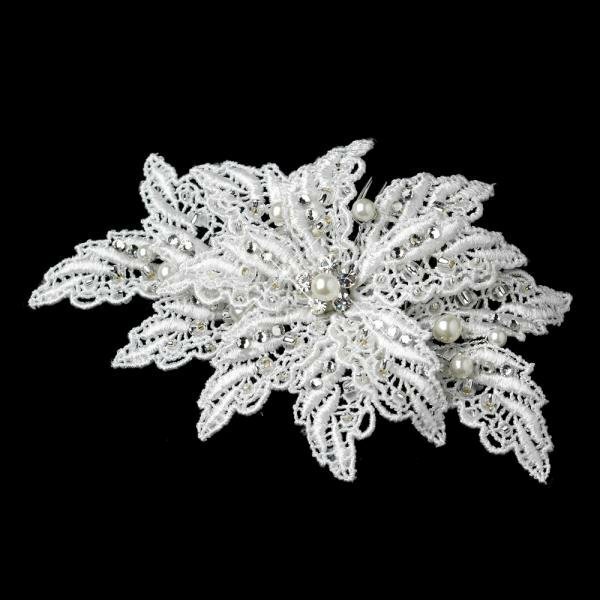 A lovely accessory hair piece you can't go wrong with. Size: 12 cm x 9 cm.